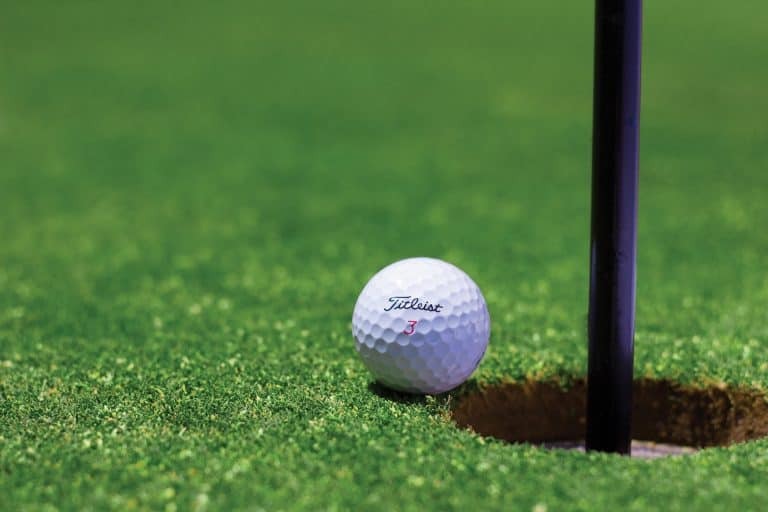 Putting is arguably the most important factor in a golfer’s score. The better you get, the more important it becomes. Golfers read so much content about improving their swing, eliminating their slide, and hitting the ball farther, but rarely take the time to learn just a few simple techniques that can help them sink more putts. 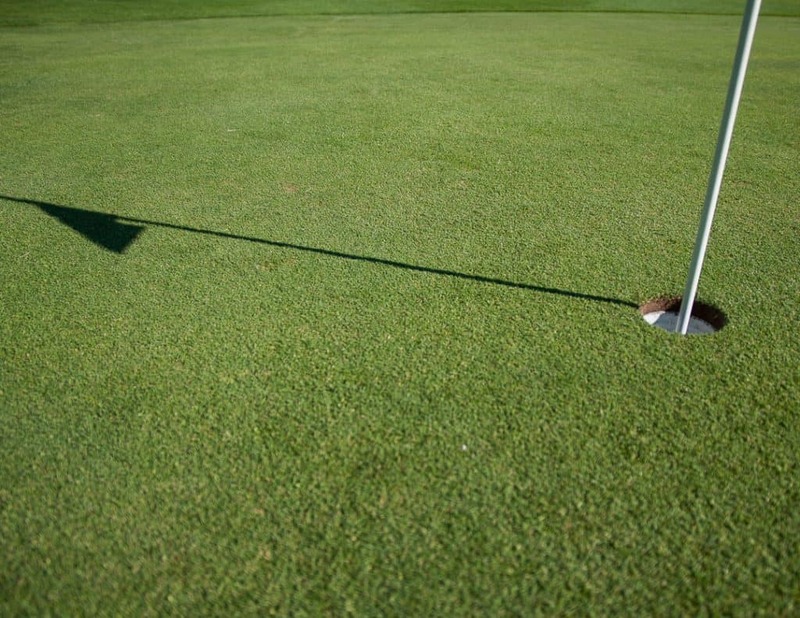 Let’s face it, you might never hit the ball 300+ yards, but anyone can drain a long putt. I’ve said before here that I am certainly no pro, but over the years of my golf obsession, I have sought out a lot of putting instruction. Here are some of the best tips and techniques that have had an effect on my game. You should always spend a little bit of time on the practice green before a round. Keep in mind though, that some (many) practice greens are a little slower than the on course greens. This is especially true at busier public courses where they need to keep the practice green healthy in the midst of constant traffic. On an unfamiliar course, it can be helpful to ask the starter how the greens on course compare to the practice green. Then you can adjust accordingly. 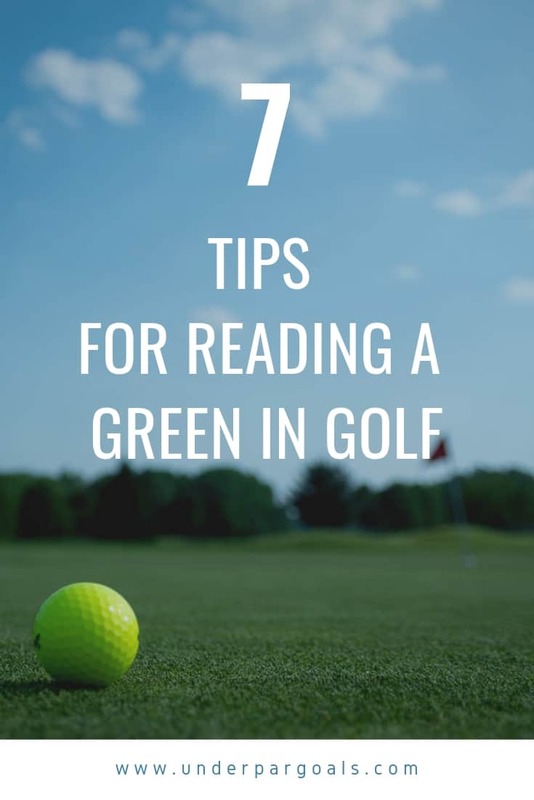 A good drill for this is to pick one hole on the practice green and place three balls at 5 feet, 10 feet, and 20 feet from the hole (be sure not to get in the way of other golfers though…be considerate). Then work your way back from the 5 footer to the 20 footer. Repeat this a few times. After you think you have a feel for 5, 10, and 20 feet, see if you can find a long putt on the practice green. If it is crowded then just use a tee to simulate the hole on an unused portion of the practice green. The goal here is not necessarily to make the putt but instead to lag it close. This will give you a great feel for how hard to need to hit the longer putts. If you’re like me then you have a lot more of those in a round than tap ins! Good lag putting can change potential bogeys to pars and make a huge difference in your score. Check out these Drills For Speed Control if you want to work more on this aspect of your game. The practice green is a great place to get a feel for your putting that day. One of my favorite courses to play is in a mountainous area and most of the holes have drastic elevation changes. There is one green on that course that is more or less a plateau built into one of the mountain slopes. When you are standing on that green, you would swear the putt was breaking from left to right from a certain spot. But if you took just 3 or 4 steps away from the green, you can see that the entire green slopes right to left. It is literally an optical illusion when you are standing on the green. The surrounding topography throws you off. The lesson here…start reading the green as you walk or drive up the fairway. See how it sits in the surrounding area. In many instances this will match what you see from on the green, but on courses with a lot of undulations, it can be deceiving if you only look from close to the hole. Take note of other features of the land. In the case above it was a mountain. More likely you will encounter a green with water on one side. Often (but not always) the green will have an overall slope towards the water for drainage purposes. Be aware of this and it might just help you see those subtle nuances of a green that can make a big difference. You may think knowing the actual distance only matters when you are hitting longer shots. Knowing the distance of every putt you attempt is extremely useful information. Well, putting is mostly about matching the feel of the putter swinging in your hands to the distance you need to hit it. For the most part the human body is really good at visually judging the effort needed. Think about tossing a ball underhanded to someone. But, at a certain distance or with a significant slope, your active brain needs to override the body’s natural perception of the distance. Either because the slope makes it deceiving, or, in many cases, it’s at a longer length that is harder to naturally judge. So does knowing the actual distance alone make it easier to judge the putt? No. Not really. But if you consistently know the distance before you make your stroke, you will begin to get better at identifying the right “feel” or effort needed for specific distances. You will probably even see improvement over the course of just one round. That is because you are getting comfortable with the speed of the greens on that course. You can get a jump start on this if you start walking off putt distances on the practice green before the round too. This easy technique changed the entire way I look at putts. Every break in a green has a fall line. That is the point at which a ball would roll straight down the slope. Once you identify that point, you can get a general idea of how much the putt will break depending on how far to the left or right of the fall line you are. If your ball is on the left of the fall line going uphill then the ball will break to the right. If your ball is on the left of the fall line going downhill then the ball will break left. It’s the opposite on the other side. Of course that is the simple version. But that holds true on every single putt to varying degrees. Once you can break it down in a more systematic method like this, you make it easier to use your own perception, judgment, and feel to make the putt. Figure out the fall line and you can solve any breaking putt. Ok, you’re not on the PGA Tour. You don’t need to spend 5 minutes reading the putt from every angle. But, getting some different perspectives can sometimes help you see breaks or undulations that you didn’t think were there. Do this while walking up to your ball, while waiting for others to putt, or even before you get onto the green. The bottom line is that it is very possible to see a lot of different angles of your putt without adding time to the round. No one wants to be a slow golfer so learn not to waste the down time between shots. Put it to good use planning your putt so that you’ll be ready to pull the trigger when it’s your turn. If you want to get a good feel for a green, you should be watching everything that happens on the green. Observe how the approach shots are rolling after they hit the green. Watch other players’ putts. I shouldn’t have to say this one but watch your own putt too! So many players look away if they hit it past the hole. You should be watching intently because your long putt is showing you the exact break it will have coming back. This one is really tough for a lot of passionate amateur golfers. Try to have fun and relax. This game is supposed to be enjoyable. Remember, you’re paying money to play because you enjoy it! You aren’t going to sink every putt. Don’t expect to. Just have a solid process, make your best roll of the ball that you can, and then focus on the next shot. 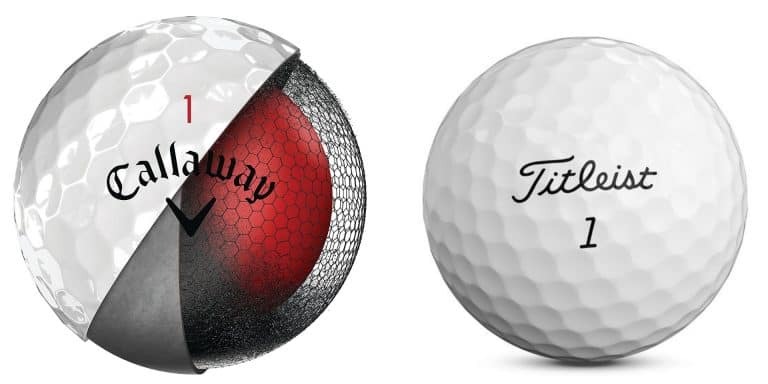 Recommended Training Aids For Putting if you want some extra help on the green. Check out these Putters For High Handicappers if you want a putter that can give you a better chance on the greens. Learn the Difference Between Blade and Mallet Putters (and which is best for your game).